This blog post originally appeared last February, titled “My Name is Alex”. 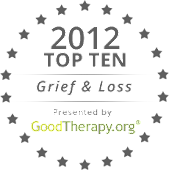 I think it speaks to another one of those uncomfortable emotions that can complicate grief: guilt. Sometimes there’s just no logical reason why one person lives and another dies. But that doesn’t make us feel any better. It didn’t help Alex, either. Maybe you are one of those people: someone whose life changed dramatically when a close friend died. Maybe you became a “different” person. Or maybe you just took the best parts of your friend and made them your own.